If you are anything like me, you might like to know how to freeze liquids without using plastic. I have a great solution that you can use to freeze soup, stock, milk or stew. Mason Jars. I am a homesteader. Of course the answer is mason jars, right? Freezing liquids in mason jars is easy once you know how. You may realize that freezing liquids in glass has a bad reputation, but I have some tips to help you avoid the disasters! We currently have my mother’s dairy goat hanging out at our place with our Edith and stinky Freddy the buck. Hopefully this will mean we will have babies from the girls again later in the season. However, in the meantime I have a lot more goats milk than the odd bowl of cereal can keep up with. 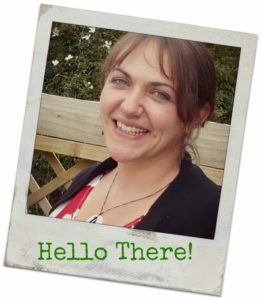 After jumping on the plastic free bandwagon, I am trying to avoid using single use plastic. Or plastic at all, if it is possible. Mason jars solve many of my plastic free requirements. Including storing food, makeshift lunch boxes, storing leftovers in the fridge and now, freezing liquids. The simple answer is yes. But it depends. You can freeze milk in glass bottles if you follow the tips below. Another alternative to using glass to freeze milk is to invest in some reusable silicone freezer bags. 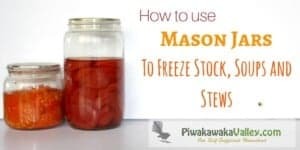 These are perfect for freezing liquids in without the risk of them smashing, and they do stack better than mason jars or glass bottles do in the freezer. I own and love these bags here, but there are many for you to choose from these days! 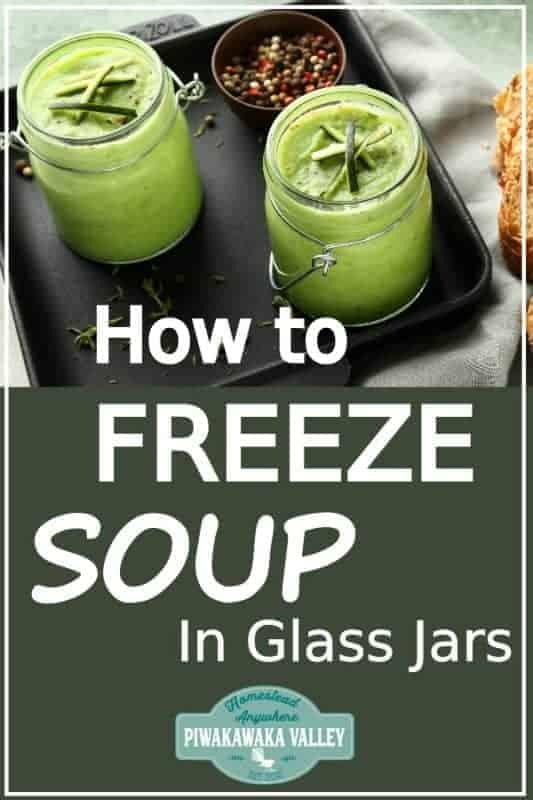 The risk of freezing liquids like milk or soup in glass is that liquids expand when they freeze. This means that if you over fill the jars they will crack. This leaves you with both a big mess, ruined food and a wasted jar. What Liquids are Suitable for Freezing in Glass Jars or Bottles? 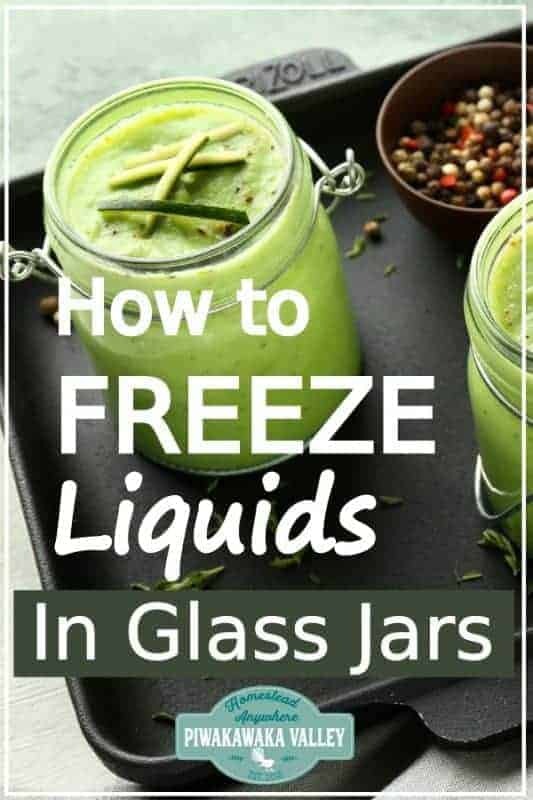 Basically any liquid that you want frozen can be frozen in glass jars or bottles if you do it correctly. 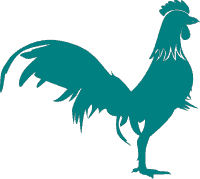 Common choices are excess milk, bone broth, stock, soups and stews. Pureed fruit also needs to be frozen following this method, anything that is sloppy or runny needs to be frozen carefully so as to not shatter the jars. So what is the trick to freezing liquids in glass jars? 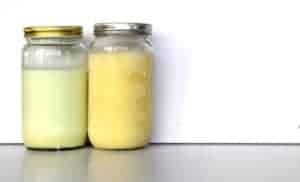 1) Use wide mouth jars and bottles if you can. 2) Keep the liquid an inch (2.5cm) below the shoulders of the jar. These jars were filled to the same level. The one on the right is frozen. Wide mouth jars have very little, if any, shoulder to the shape of the jar. The shoulder of the jar is where the wide bit starts to get narrow. It is also the area most likely to break when you are using glass to freeze things. 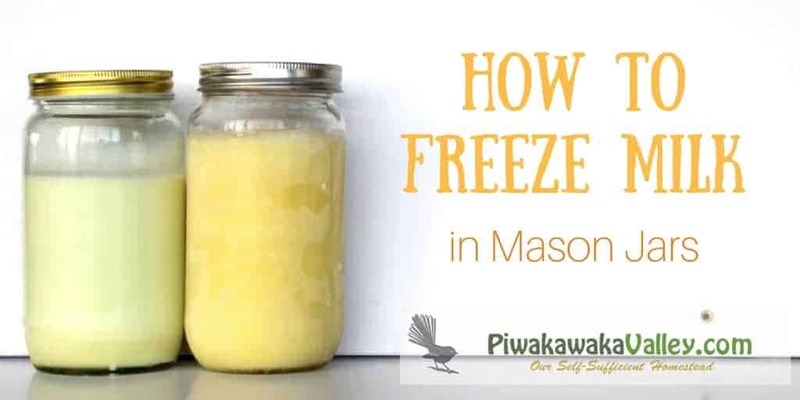 As the jar contents is freezing it will freeze from the outside inward. This means the piece of liquid sitting under the shoulders will be solid fairly near the beginning of the freezing process. As the inside of the liquid freezes it pushes back against the outer layer that is already frozen, expanding the liquid upwards towards the space that you have left for it. If there is not enough space below the shoulders, as the ice is forced straight up it will push right through the glass in it’s way causing it to crack. RELATED POST: Canning summer fruit the easy way. SO, to ensure that you don’t crack all your jars, keep your liquid at least 1 inch below the shoulders of the jar. Better yet try and get wide mouth jars that have very little shoulder. Another option are glass flat dishes with re-usable lids like these. They are great as they are able to be stacked in your freezer. While they are not totally plastic free, they are very high quality and will last you a very long time. Remember to label and date your jars so you know what is in there and what to use first! So there you go, you CAN store your soups, stews, stocks and spare milk in the freezer without using plastic. Freezing liquids in glass ain’t so tricky after all. How do you freeze liquids in the freezer? Let me know in the comments below. What is the best way to thaw frozen jars of milk? Thanks for the info! If you want them to defrost quickly placing them in a bowl of warm water helps – too hot will shatter the glass. I usually just take mine out the day before and leave it in the fridge or on the bench to defrost.